For those who have lived under a rock for the past week and haven’t heard: ABBA are reuniting. Scandinavia’s biggest pop sensation has recorded two new songs – their first new material in 35 years – and are launching a hologram tour(!). They say it’s not about the money, they are already fabulously wealthy and just happened to have rediscovered the joy of working together. In our dear old EU, it’s always about the money (though we talk about values, solidarity and principles), and never more so than this week. The proposal for the new seven-year budget is out. So let’s see if it’s really funny in the rich man’s world. But before we start, let’s make one thing clear: compared to national fiscal frameworks, the EU budget is actually pretty small (less than 1.2% of the bloc’s output), not that you’d guess from the hype and hyperbole that surrounds it. The two biggest budget heading, cohesion policy and agriculture, will be cut by 7% and 5%, respectively. Regions and farmers are bound to raise their voice in righteous anger and say ‘aha, all the things I could do, if I had a little money’. Still, the EU may find ways to compensate them through different channels, to avoid risking the wrath of French farmers. In reality, the EU budget is more or less a zero sum game. Unless you raise every country’s contributions significantly, money has to be taken from somewhere to be allocated somewhere else, in this case security (Frontex), migration, digital, environment. At the same time, there is also the small matter of an annual €15 billion gap to fill (Juncker’s estimate), created by the UK’s departure. Commission officials must have had plenty of sleepless nights putting it all together. Like the EU, ABBA have had their own share of ups and downs, marriages and divorces. Sometimes the bitter moments resurfaced in the lyrics (Knowing me, knowing you, One of us, Winner takes it all), but onstage the four always presented a united front – something the EU is still learning how to do properly. There will be little unity in the upcoming budget discussions, in parliament and particularly among member states. In the words of an insider, “the amount of horse-trading and haggling by rich and poor members alike is unbelievable, almost down to every single euro”. An honourable mention must be given to Denmark and the Netherlands, whose prime ministers have called for a leaner budget. 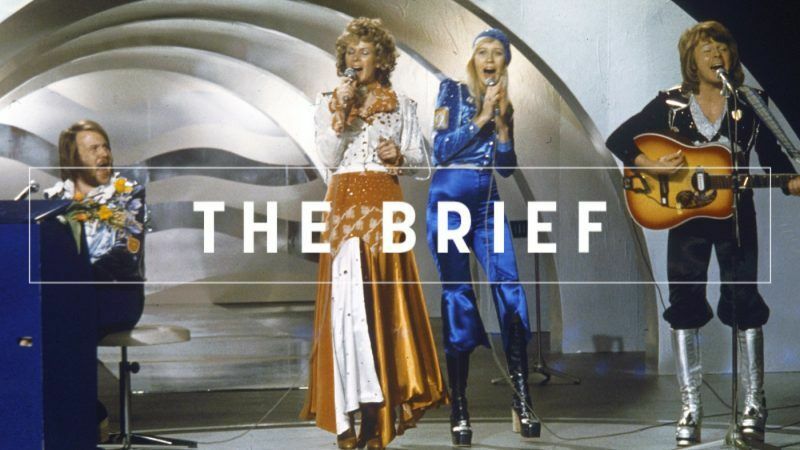 ABBA had four members, plus a backing band, so managing the cash-flow was never a big problem, unlike their personal relations. The EU has 28 members (for one more year at least), each wanting as big a chunk of the pie as possible. Clashes are inevitable, compromises essential. And it is important to reach compromises as fast as possible, during this administration’s mandate. Otherwise, the whole budget discussion will resume only in late 2019 or even later. As a result, the budget rarely satisfies anyone. For the UK, it will be ‘So long’. But for the remaining 27, a budgetary Waterloo awaits in the months to come. Today is the big budget day in Brussels, as the Commission unveils its proposal for the EU’s long-term budget for 2021-2027. Watch our live coverage here. During the MFF negotiations, the EU also proposed a 25% ‘climate quota’. To reflect the commitment the EU has made to decarbonise its economy in line with the aims of the Paris Agreement, Jonathan Gaventa suggests five steps for a climate-friendly EU Budget. Moreover, the new MFF promises sweeping changes to development policy. In the British pipeline of errors, pursuing a UK-US trade pact without setting out a ‘comprehensive strategy’ for life after the EU could be a ‘catastrophic error’, a committee of MPs has warned in a new report. Speaking of catastrophes, disaster was avoided once again as the US decided once again to hold off on EU, Canada and Mexico metal tariffs – for 30 more days. The EU is not amused and has accused the US of prolonging “market uncertainty”. The word Grexit rises from the dead again. However, the only scenario that is currently on the table is the one from the bailout program, the OECD chief says. While the Czech Republic is one of the most industrialised EU states and its big companies do not fear digitalisation, small Czech firms still struggle with slow internet. How prepared is the EU to receive people in need of protection? And how can the integration programmes be improved? 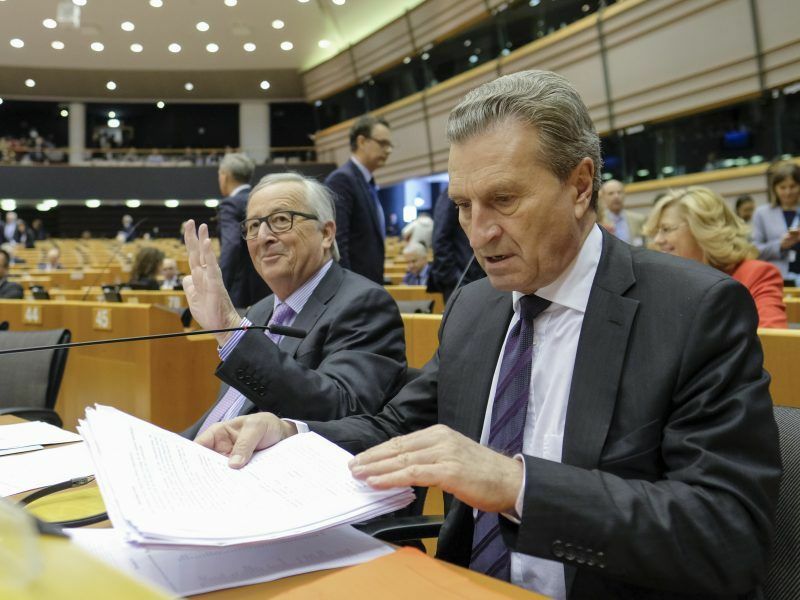 Read two case files for Brussels and the member states that can decide the future of millions. The Finnish basic income experiment is currently causing a stir. While critics raise the notion that the project has failed, researches deny it as fake news and demand changes. Masked and hooded anarchists in Paris smashed shop windows, torched cars and hurled cobblestones at riot police while hijacking a May Day rally by labour unions against President Macron’s economic reforms. In an attempt to bounce back from a defeat in the French elections, National Front leader Marine Le Pen seeks to rally far-right allies for the 2019 European elections. Waiting in the Czech Republic might be over, as the ruling ANO party could be only days away from agreeing a coalition deal with the centre-left Social Democrats to end the limbo of political instability. World Press Freedom Day. With global media freedom plunging to the worst level this century let’s stop and think about journalists being threatened by government censorship, organised crime and commercial pressures caused by the growth of the internet. The Commission and Parliament hold a seminar in Brussels tomorrow; speakers include EP President Antonio Tajani and Enlargement Commissioner Johannes Hahn.